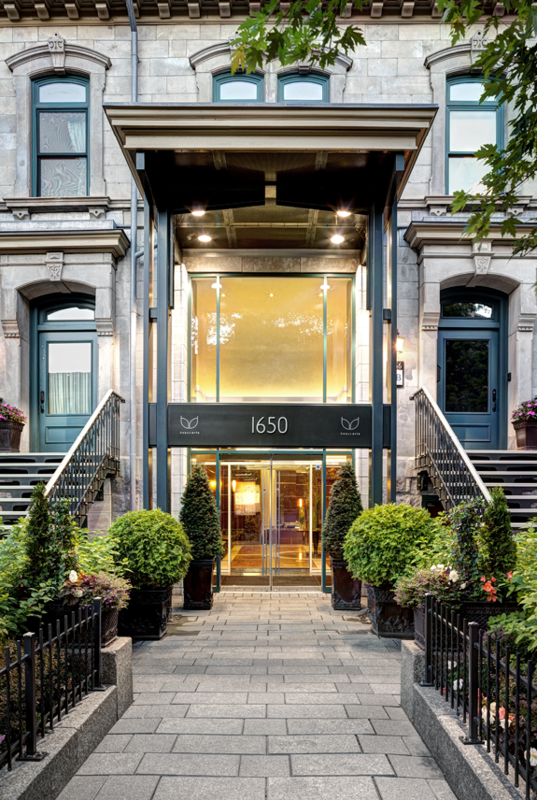 The Beaux Arts Condominium building is located in downtown Montreal on stately Sherbrooke Street. 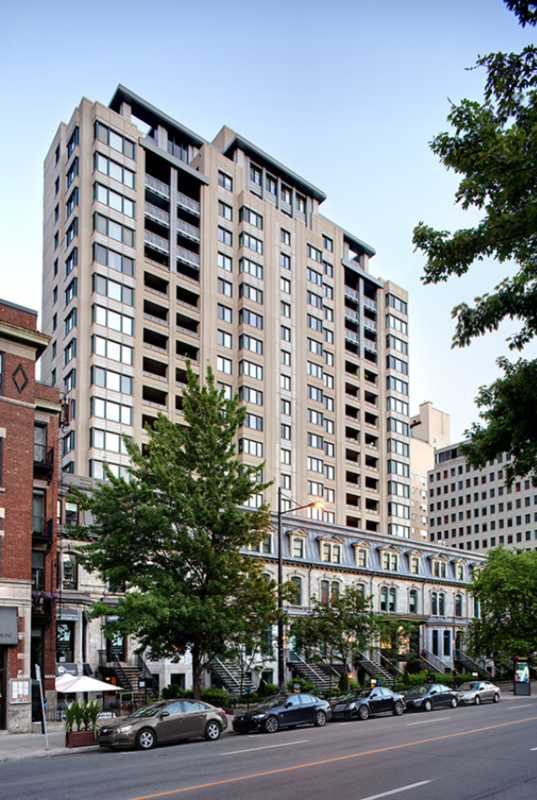 The project features a row of Greystone Victorian townhouses integrated with a modern condominium tower. 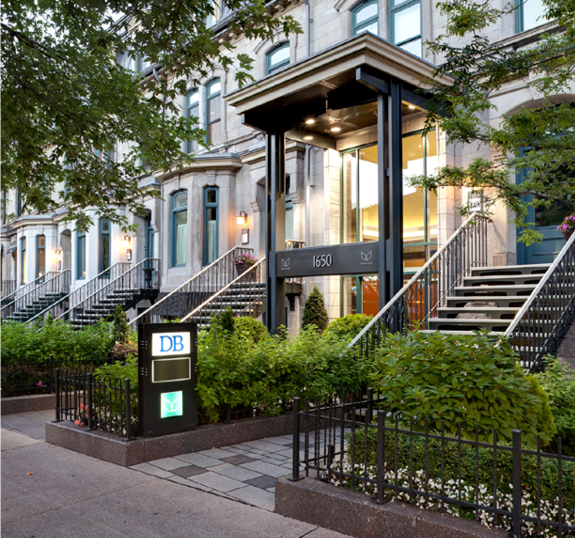 The townhouses feature commercial units at street level and luxury condominiums on the upper levels. The connecting 20-storey tower features 32 high-end residential units and two exclusive penthouses. 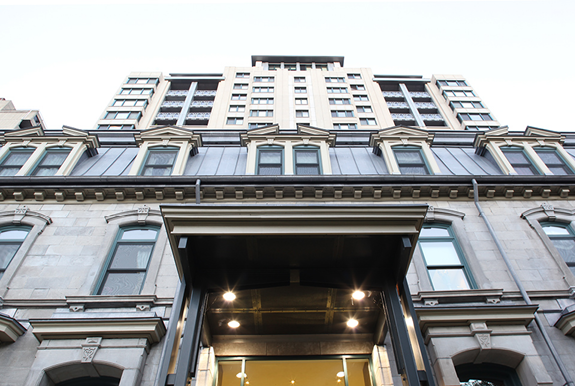 EVOQ, in collaboration with Neuf Architects, developed the overall architectural design of the project and the restoration of the townhouses. 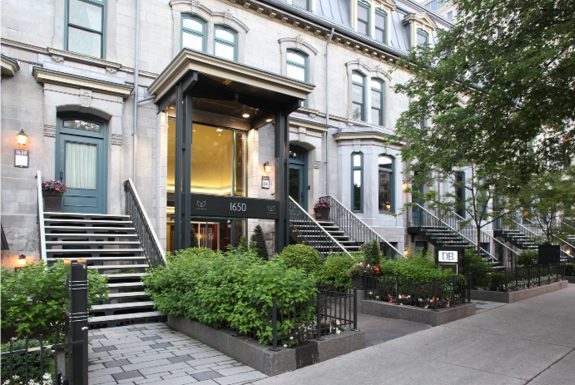 In order to obtain an increase in the height restriction of the adjacent development lot, EVOQ prepared a series of studies, including a Heritage Value Assessment, Building Condition Assessment, Wind Impact Study and Area Mapping Study in support of the successful re-zoning application.